Most experts agree that trauma's effects live in the body. Practicing yoga and meditation allows participants to engage with body-centered and mindfulness techniques to mitigate these physical manifestations of trauma and learn to engage their parasympathetic nervous systems to slow breathing, drop their heart rate, and lower their blood pressure. These effects contribute to overall well-being and promote mindfulness as a tool to combat stress. The Lotus Flower Centres offer yoga and meditation classes for women and girls. 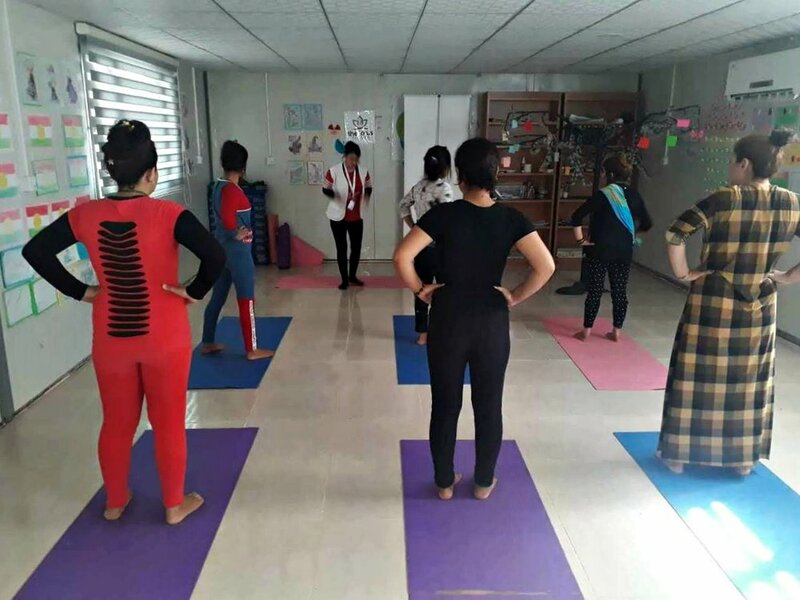 They are taught how to incorporate these exercises into their daily lives to help them heal physically and mentally from the trauma they have experienced.